If you’ve invested in the series I don’t think you’ll be disappointed in the conclusion of the story. The execution might stumble in places, but it never falls and Dontnod have managed to bring together a thoughtful and artistic story that has enough substance to be discussed as a game or an analysis of coming-of-age. 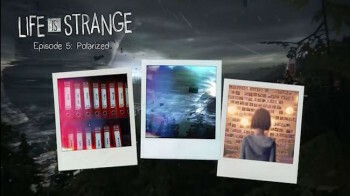 ife is Strange has been a learning curve for Dontnod, the series developer. The initial episodes had great promise but were rough around the edges with some poor dialogue. Later episodes though have shown exceptional promise, taking on areas of life that videogames very rarely delve in to. 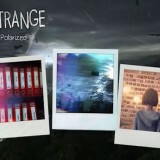 Looking at life as Max Caulfield and helping her deal with the daily trials and tribulations of young adult life has been an emotional and mixed ride. Seeing the push and pull of the relationships in the lives of these young adults on the cusp of transitioning into adulthood – becoming the people they hope they want to be. These are not your traditional video game fodder. I won’t talk in depth about plot points from this episode but I will make reference to past episodes in this review. When we last left Max things were pretty dire. Rachel had been found, Chloe had been shot and Max had been drugged by her photography teacher Mr Jefferson. She awakens in the glorified kill room also know as the Dark Room from the previous chapter and things have taken a turn for the worse. This episode is more about looking back through the events of the past four episodes and taking stock of your choices and actions. Reliving certain scenarios, sometimes multiple times, from earlier episodes as Max tries desperately to use her knowledge from the present to alter the past to relieve her imminent demise. I won’t dig any deeper than that as it would spoil a few twists and turns. Where previous episodes would have you doing investigations and looking around to piece clues together this episode of Life is Strange, Polarized, breaks down more in to some simple ‘click on everything around you and something will work’ mechanics coupled with a few bland fetch quests. The decisions that are now coming to bear in this episode are woefully missing from Life is Strange episode 5. You only have one decision, a biggie I can tell you, but it feels a little strange to not have that aspect to the episode. On the subject of this decision it has to be said that both options are unpalatable and had me stop and lay the controller down for a good few minutes. Sadly one seems to be the “better” ending as it goes on and plays out a heart breaking sequence of events that appears to teach life lessons to the characters involved. The other ends pretty abruptly and feels like you’ve been cheated out of something more. 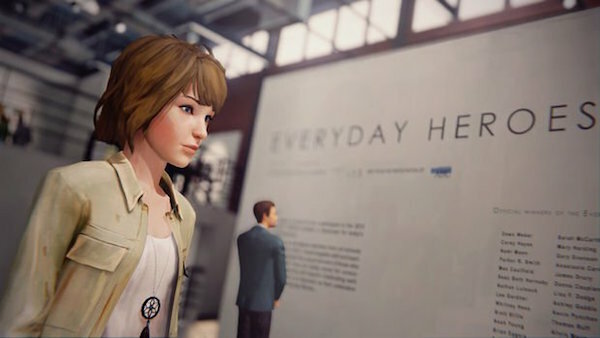 The narrative, which has been so strong in the game throughout, is solid once more, throwing up questions to the in-game characters and in the player’s mind. It unravels a little when delving in to the finer points of time manipulation and paradoxes but no more than your average TV show might do. There is some clumsy handling of the narrative near the end though with a poorly judged stealth sequence tearing you out of the story and reiterating that this is a game. As we’re having to poke through some of Max’s earlier exploits you can really see the difference in quality from the earlier episodes to the newer ones. The dialogue that pops up is less refined, with needless “teenage speak” thrown in scattershot to try and convince the player these are genuine teens. Thankfully the rough edges on the current areas are fewer and the dialogue is well written if a a little melodramatic in the delivery… Max is often shrill and breathless whilst talking towards the end and it comes off as a little grating… but that’s just a minor quibble and likely misjudged voice direction. There were a smattering of glitches throughout too but none game breaking – I did have to reload a section in the diner after getting clipped through a wall and then the whole game world. As a stand alone episode it’s a little erratic and stagnant in places. It lacks pace and that stealth part is flat out terrible. It feels, in many ways, like a return to the form of the original couple of episodes rather than the progressive evolved format of the latter two episodes. As a conclusion to the series though it does tie up several loose ends, offers up explanations that are plausible if not wholly convincingly portrayed and skates over any minor plot holes. The story from Arcadia Bay is a compelling one, if a little inconsistently told at times. 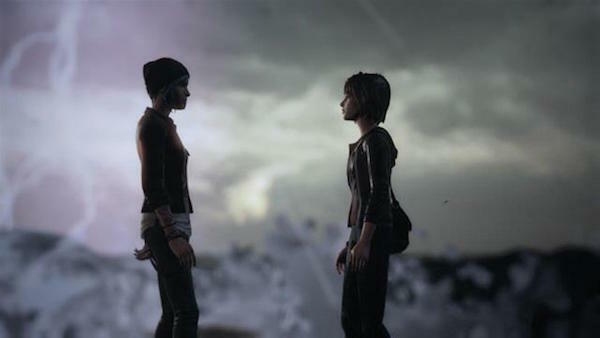 Max and Chloe’s relationship is deeply explored and boundaries are pushed for a video game. Their story is, at times, gripping and compelling with a bittersweet edge. Dontnod have done great work here in driving forward video game narratives. If you’ve invested in the series I don’t think you’ll be disappointed in the conclusion of the story. The execution might stumble in places, but it never falls and Dontnod have managed to bring together a thoughtful and artistic story that has enough substance to be discussed as a game or an analysis of coming-of-age. Sure not all young people can control time, but take that out of the equation and Max, Chloe and the rest are just trying to find their place in the world. Here’s hoping they take a second stab at this, although probably not with the same characters…. perhaps in a True Detective type of vein where the ethos continues but the characters change…. Also containing drug references, bad language and sexual content.